I think you deserve a muffin today. And not just any muffin. No, sir. 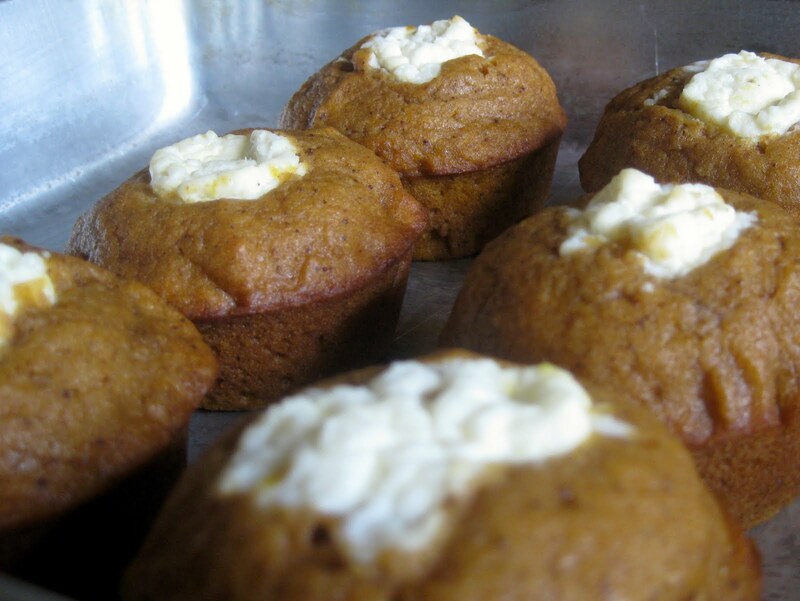 You need to have yourself one of these delectable pumpkin cream cheese muffins. Multiple batches of these spicy muffins have been consumed in our home over the last several months, and they just seem to get better and better. Seriously, these babies are so good, they just might be the answer to the global warming crisis, American economic recession, AND the Conan-Jay-NBC debacle. Preheat oven to 350 degrees. Put the entire brick of cream cheese onto a piece of wax or parchment paper and shape into a long log. Put it into the freezer to allow to harden, up to one hour. Cut cream cheese into 24 discs, equaling about 1-2 teaspoons each. Set aside. Mix remaining ingredients in a bowl. Fill greased muffin tins half full. Put cream cheese disc in the middle, pressing down into the batter. Bake for 20-25 minutes, until a toothpick comes out clean when inserted into the muffin part. Cool in pans for 5 minutes, then remove and cool completely on racks. Makes 24 muffins. oh wow those look really good! Umm, I deserve about 5 of these. They look SO good! Oh these look so heavenly. But I'm too lazy to bake. Can you make them for me? Haha. Hey! I recognize those muffins! Did you find a recipe online that mimicked the Starbucks' one from this fall!?!? This is Cathy. Not Brad. 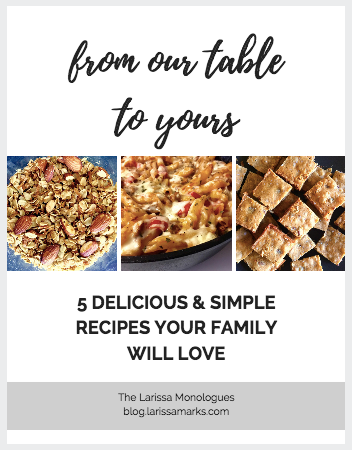 Cathy (“Brad”) – this is the recipe I used this fall. The original was found online, but I made some spice measurement adjustments.